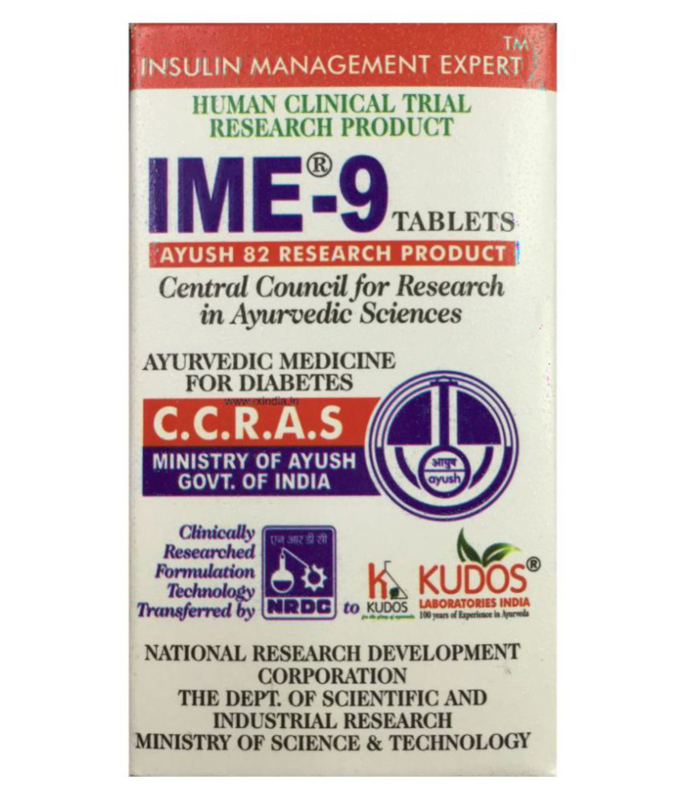 Contains Amra (Spondias mombin) 625mg, Karela (Momordica charantia Linn) 625mg, Gudmar (Gymnema sylvestre) 625mg, Jamun (Syzygium cumini (Linn.) Skeels) 625mg, Shudh Shilajit (Asphaltum) 0.1665g as active ingredients. - Amra act by releasing more insulin from Beta-cells & get hypoglycemic effects. - Bio-active compounds present in karela lowers blood glucose effectively and also increases production of insulin by beta cells of the pancreas. - Gudmar suppresses sweetness in the body. It acts by inhibiting glucose uptake by intestines. - Jamun prevents the surge in sugar levels immediately after meals & keeps it well under control. - Shilajit helps to reduce free-radical damage to beta cells thereby helping to increase insulin production.